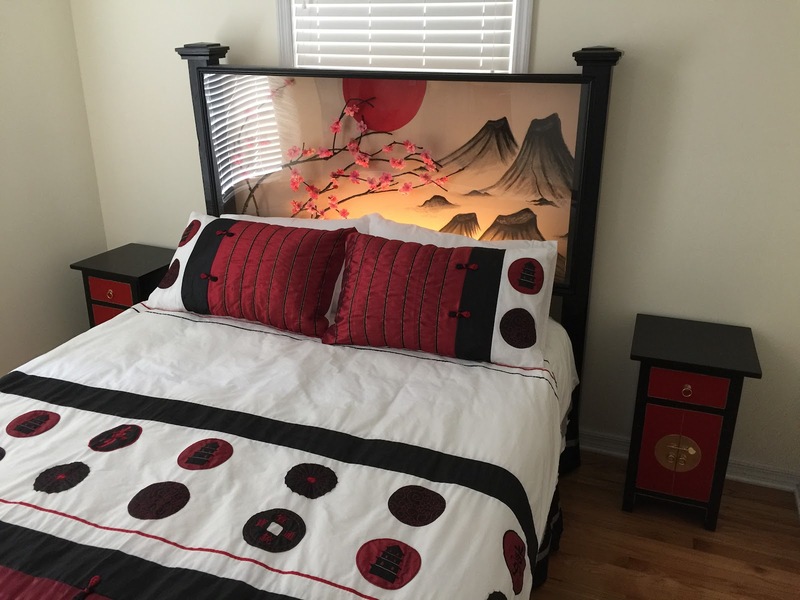 People need a horizontal surface to put things on next to the bed. 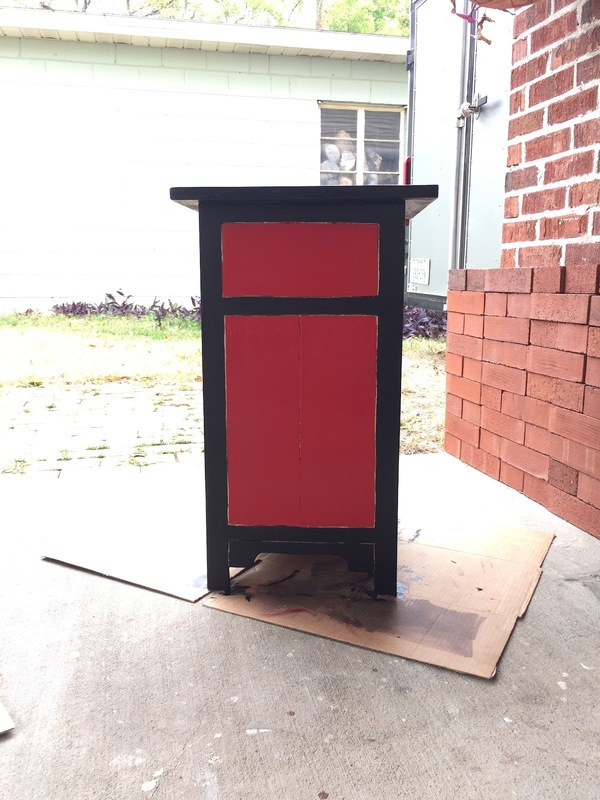 Not having nightstands was a glaring omission from our AirBnB. 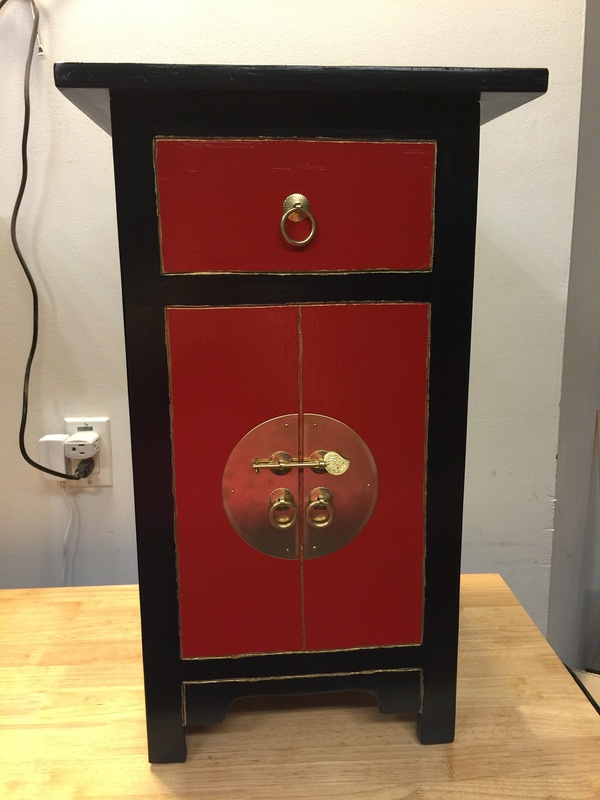 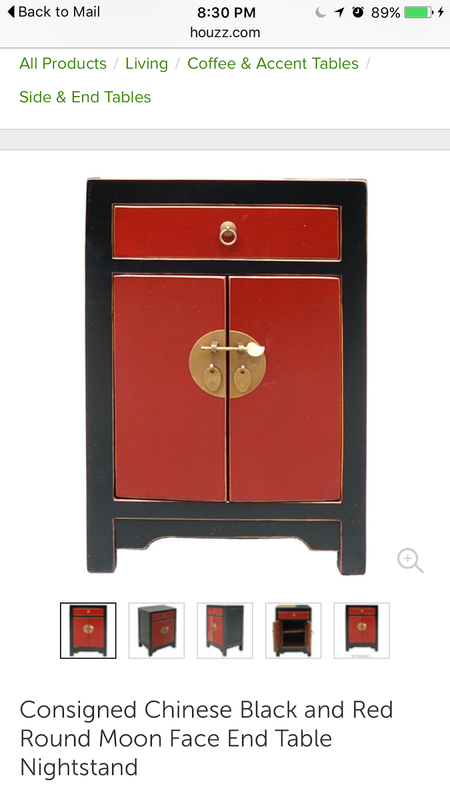 I did some googling to rectify this situation and found a set of nightstands that would match the overall Japanese/red-black theme of the apartment. 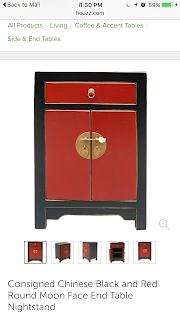 Well, I found these gorgeous nightstands on Houzz, but there's no way I'm willing to pay $900 for two (let alone $450 for one)! 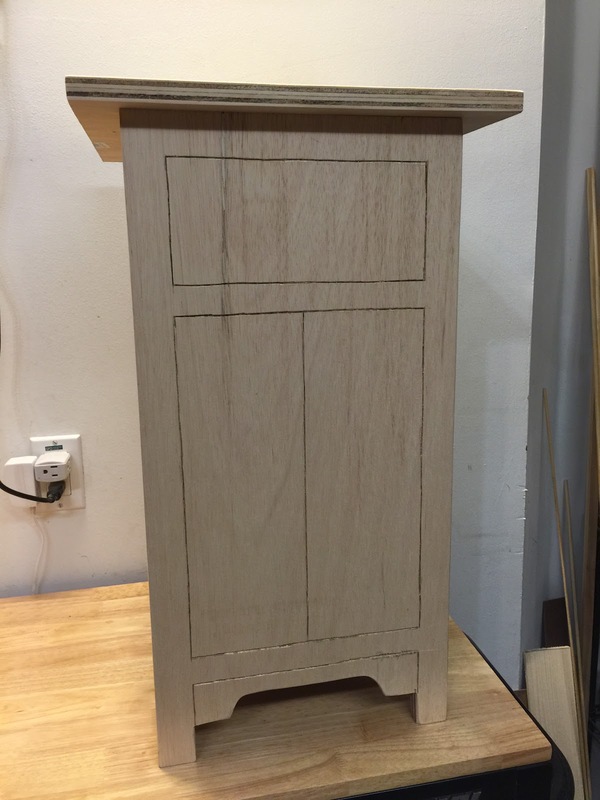 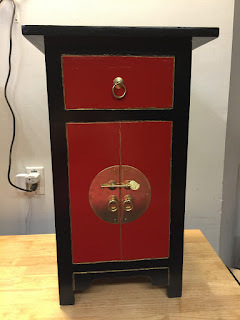 I had an idea to find the cabinet hardware from Aliexpress (which was pretty simple) and then make the nightstands out of plywood with faux door and drawer openings. 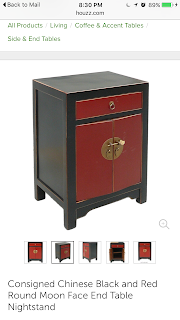 I don't need storage space in these nightstands, I just needed a place for people to put their things by the bedside. 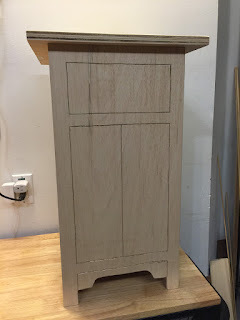 I used a big piece of paper to work out the balance of the drawer to door spacing for the front of the cabinet and traced on the lines with a pencil. 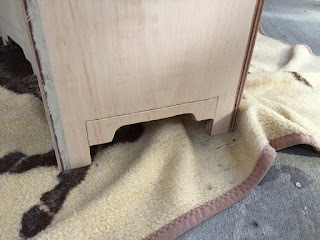 Then using a chisel and a hammer, I made a groove on the fronts and sides of the cabinet where the "doors" and "drawer" would be. The plan was to fill in the groove with gold paint as the last step. 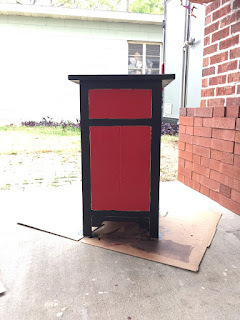 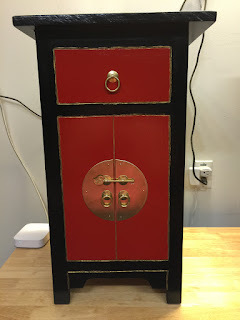 I used Rust-Oleum semi-gloss black paint for the body of the nightstand (the same paint I used on the headboard frame) and a red enamel paint for the drawer/doors. 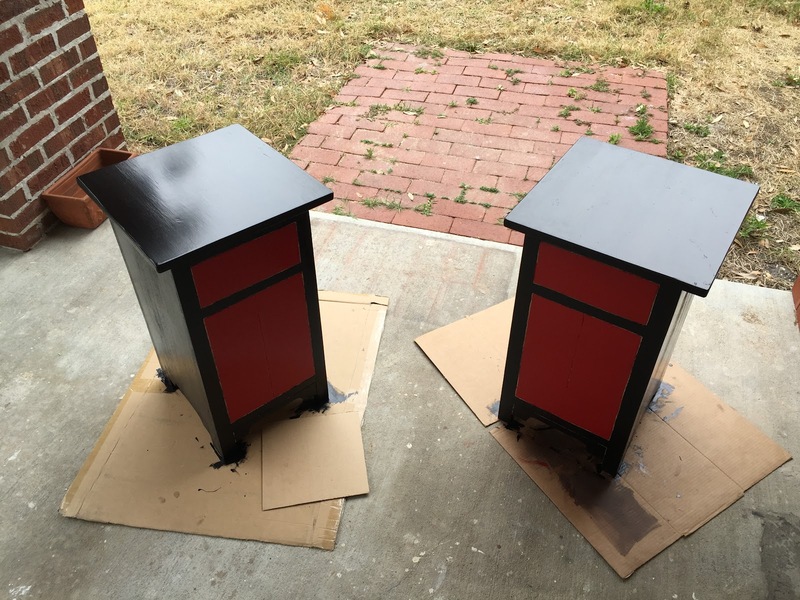 After adding several coats of paint, I sanded with a 440 grit and then painted again. 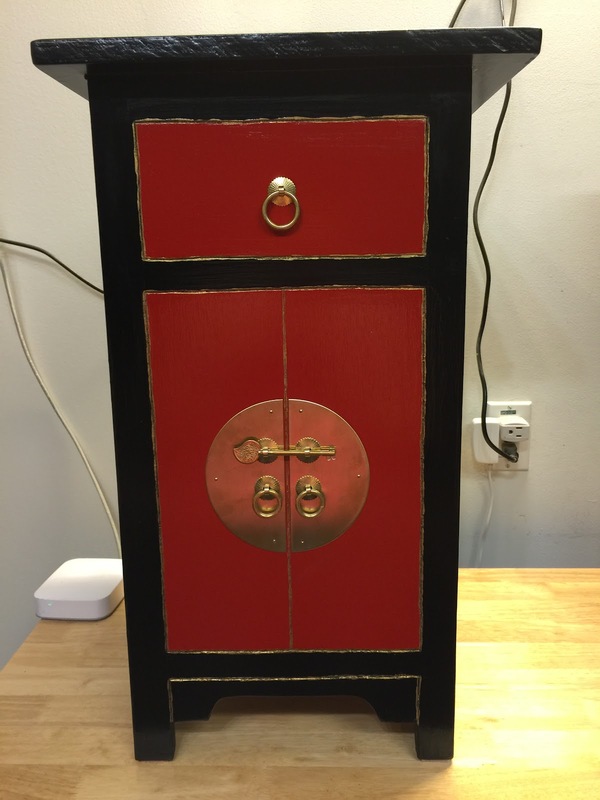 The door/drawer hardware arrived in the mail eventually. 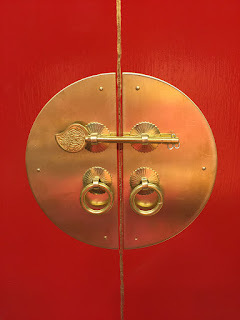 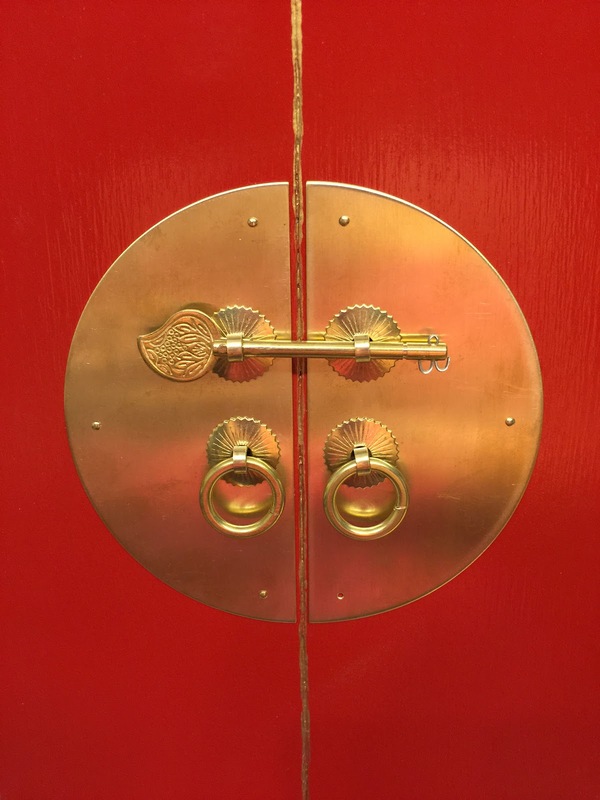 I installed the hardware and then painted the grooves gold with a fine tipped paintbrush and a gold paint I bought at Michael's. 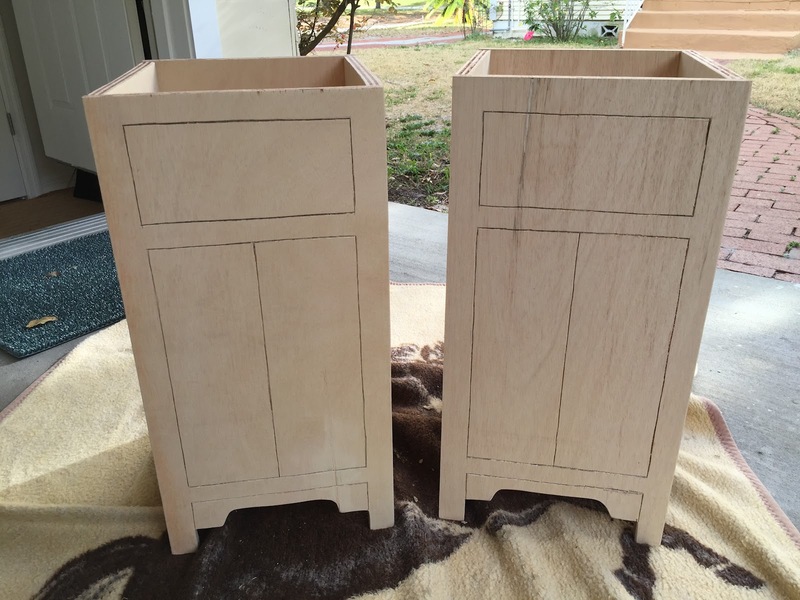 I'm very pleased with how they turned out. They look great in the bedroom and the enamel paint is very hard wearing. I have about $100 or so in parts/paint/hardware invested in these nightstands, so it wasn't exactly cheap to make them, but it's certainly a lot cheaper than the ones for sale on Houzz.